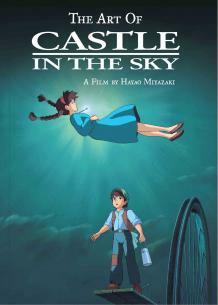 “Castle in the Sky is an astounding animated feature written and directed by Hayao Miyazaki. It is an imaginative extrapolation of a reference in Jonathan Swift's "Gulliver's Travels" to Laputa, a floating island-city hovering over Balnibarbi. Miyazaki uses that to spin off a modernistic sci-fi fable with a subtle ecological message. “A young orphan named Sheeta has been kidnapped by the secret agent Muska and is being flown to a military fortress when their transport is attacked by air pirates. Trying to escape, Sheeta flies out the window, but instead of crashing to the ground, she floats unconscious to a soft landing in the arms of Pazu. “Sheeta and Pazu set out to find the floating city before the government can usurp its wealth and power.